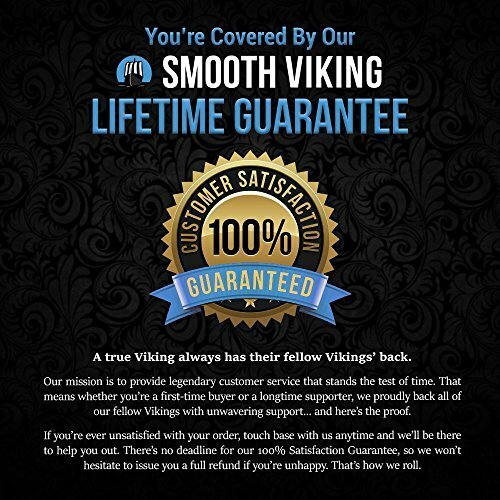 Smooth Viking’s Beard Comb & Brush Set is a dynamic duo of premium grooming products that ensure you’ll never have a “bad beard day” again. Beard Comb: Made with high-quality sandalwood to keep beards and mustaches styled and knot-free. 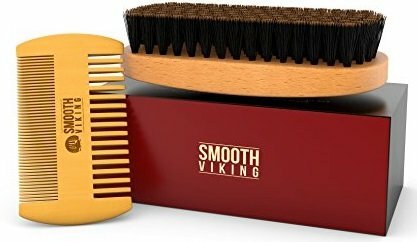 Beard Brush: Utilizes black wild boar bristles to tame, shape, and groom facial hair like no other.The Definitive Beard Groomer Combo – Smooth Viking’s Beard Comb & Brush Set is the ultimate styling and detangling kit to help style and round out rough and rugged facial hair for a striking professional quality look. Whether it’s a classic look or something with a modern edge for trendsetters, this kit is made to support beard growth and style for anyone, and makes for a great gift that any guy can enjoy. A Premium Brush for Men that Take Beards Seriously – The Beard Brush included in this set are made with natural bristles shedded from wild boars to provide shape and style as it combs your facial hair and stimulates the skin underneath. By reaching the skin, the brushing strokes from this hairbrush act as a softener to encourage the distribution of natural oil for conditioning benefits that can keep your beard healthy. A Durable Comb that Keeps Facial Hair Looking Its Best – This kit also includes the Beard & Mustache Comb, a compact, men’s, dual-action grooming tool made with high-quality pearwood with both fine and coarse teeth to achieve a personalized look. This wooden Beard Comb is designed to fit in your pocket or wallet for travel supplies purposes. Grooming Made Simple – This unique Beard Comb and Beard Brush starter box set is fully compatible with Beard Oil along with wax balm and conditioner products, as they help evenly distribute the products throughout your beard, mustache or goatee. 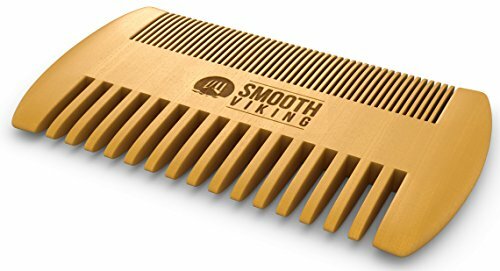 Smooth Viking’s Beard Comb, in particular, also acts as a great trimmer shaping template for men that need to keep their facial hair at an even length. 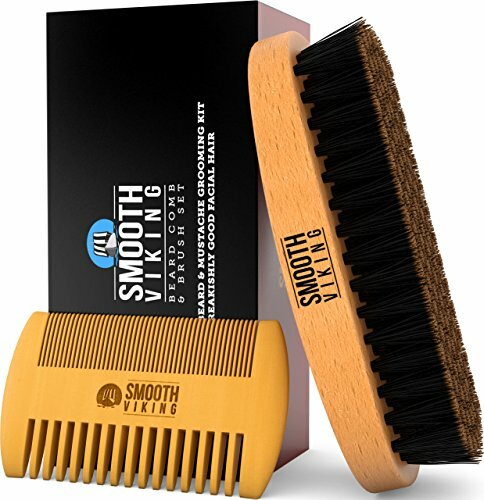 Stay Tangle & Dandruff Free – The firm bristles of this pro-grade Beard Brush help massage the skin on your face to clear away dandruff or flaking that could be caused by dryness or irritation, while the Beard Comb acts as a styler and detangling straightening tool that works out knots for a great looking mustache and beard.